Wendy Morris has been making jewellery for over 16 years in a variety of styles and materials. 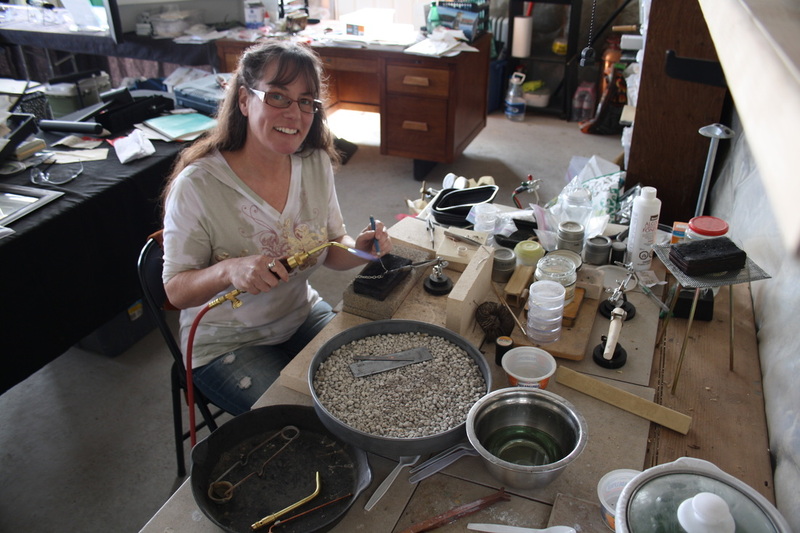 Always striving to improve her current techniques and to learn new ones, she has taken Metalsmithing courses through Conestoga College in Kitchener, Ontario studying with Connie Godwin and Aggie Beynon. In the spring of 2018 she graduated with honours from the Jewellery Arts Program at George Brown College in Toronto. A member of the Guelph Creative Arts Association Wendy's work is available at The Guelph Artisan's Store in Guelph, Ontario and also at Cobblestone Gallery in Waterloo, Ontario. Wendy is also a member of Headwaters Arts and The Orangeville Art Group as well as SNAG and Craft Ontario. Inspired by a love of Nature and History in my work I strive to showcase natural materials often using ancient techniques and patterns. As a jewellery artist, metals are the main focus of many of my pieces. These are worked and shaped through the use of such tools as fire, steel and bone as people have done for thousands of years. Stones are another important element of jewellery and I have collected many interesting and unique pieces over the years from gem shows, to beaches to rocky trails. I also like to use less conventional and found or recycled materials such as fossils, shells, bottle caps, tin cans, paper and wood and enjoy the challenge of incorporating these kinds of items into my work. I always use more environmentally friendly products as often as I can including beeswax, citric acid pickle, pine based resin and green pine chaser's pitch. All of these elements combine to create beautiful and unique hand crafted jewellery.